Michael Emery and Sarah Bagby launched the first Kyani Google Hangout! The M&S Show is multifaceted, tying together Kyäni, entrepreneurship and personal development. The primary purpose behind the Kyani Google Hangout is to provide personal insights to individual interested in trying the Kyani Health Triangle. There are numerous short testimonials on YouTube about Kyani but currently no in-depth information from the field. By providing a Google hangout show, individuals interested in the Kyani products and the Kyani business can begin to build familiarity with the options that Kyani provides for health and wealth. Secondary purpose behind creating a Kyani Google hangout is to build rapport with Kyani prospects and over time open the doors for high trust selling. Personally, I’ve looked into the majority of the health supplements available in the marketplace and the unique differences that the county health triangle provides is a complete nutritional system addressing the important factors of: ensuring adequate nutrition, a reduction of inflammation in the body, and optimizing circulation. When it comes to product price and quality of ingredients, Kyani is way ahead of the competition. When it comes to the competition, what most people do not realize is that competitors I have a business model based either upon price or volume. Certain brands known for having low prices within various health supplement niches, reduce costs by using cheap and or synthetic ingredients and attempt to be profitable by selling large quantities. In this case, it is a model of volume over price. Other companies use high quality ingredients and therefore have higher costs as a result are more sensitive to marketing perceptions and need to spend more money on branding and promotion. When it comes to Kyani, the difference with the Kyani products and Kyani business model is that Kyani is able to sell extremely high quality products using the best ingredients available at a price that is approximately in the middle of the bell-shaped curve between the least expensive products and the most expensive products in similar niches. However, it is Kyani’s marketing plan that makes the difference and helps to keep the cost lower than other competitors using similar higher-quality ingredients. 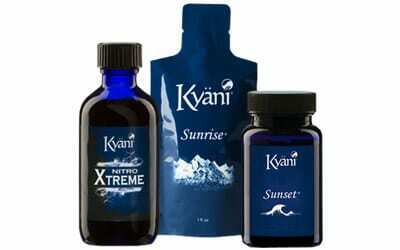 The way that Kyani is able to do this is by using a word-of-mouth network marketing model. This makes the branding component of Kyani completely dependent upon the individual’s experience and willingness to talk about Kyani with friends, family members, and anyone who is perceived to benefit from the Kyani products. What I see for most people who do not have business experience and begin in Kyani is a tremendously steep learning curve. Business skills can be learned, but the personal development side of business is a bit more elusive since not everyone is capable of managing such concepts and experiences. For example, how do you deal with rejection? How do you manage anxiety and overwhelm when it comes to promoting Kyani as a business? What are the sales resources that you have? How can you inspire and motivate your downline to take action? I really am a fan of network marketing models when they are attached to high-quality products and high-quality businesses such as Kyani. The reason for this is because as Robert Kiyosaki says network marketing is literally personal development that pays. The more you enhance yourself as an individual and develop the capabilities necessary to lead others, the more you will find your earning opportunities increase. If you need some free personal development resources then I encourage you to visit my personal development training site. If you’re not currently a Kyani distributor and would like to discuss the options available to you to promote this company then use the contact bar to set a time to speak with me to be happy to answer your questions.